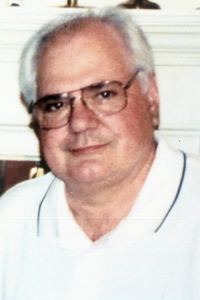 SKANEATELES, NY — Michael Alexander (Eck) Grandstaff, 77, of Skaneateles, NY, died Thursday morning, March 7, 2019, at Upstate Medical Center at Community Campus in Syracuse. Michael was born in Detroit, Michigan on Aug. 1, 1941, the first of three sons whose parents were Jacob Daniel (Dan) and Esther (Eileen) Hoverman Grandstaff. Michael grew up in Wheeling, WV and was a 1959 graduate of Triadelphia High School. He attended West Liberty State College until starting in the printing and publishing business, a career that spanned 40 years. He was united in marriage to Alberta Mae Shafer on July 7, 1962 at Stone Presbyterian Church in Wheeling. In the late 1970’s Michael’s work took them to Webster City, Iowa. In 1989 they relocated to New York State and in 1999 Skaneateles where they have resided the past 20 years. Survivors include his wife of nearly 57 years, Alberta; their three children, Susan M. (Maurice) Shea of Naples, FL, Scott M. of Skaneateles, NY and Steven M. (Rebecca) of Rotterdam Junction, NY; a brother, James D. Of Richmond Heights, OH; 1 aunt, Margaret E. Bell of Carmichael, CA; five grandchildren; two great-grandchildren; two nephews; and three cousins. Michael was predeceased by his mother, his father, and his brother, Jeff. Arrangements have been entrusted to Kepner Funeral Homes in Elm Grove, WV. Viewing hours will be 6-8 p.m. Friday, March 29. The funeral service will be at 10 a.m. Saturday, March 30 at the funeral home. Interment will follow in Greenwood Cemetery, Wheeling, WV.